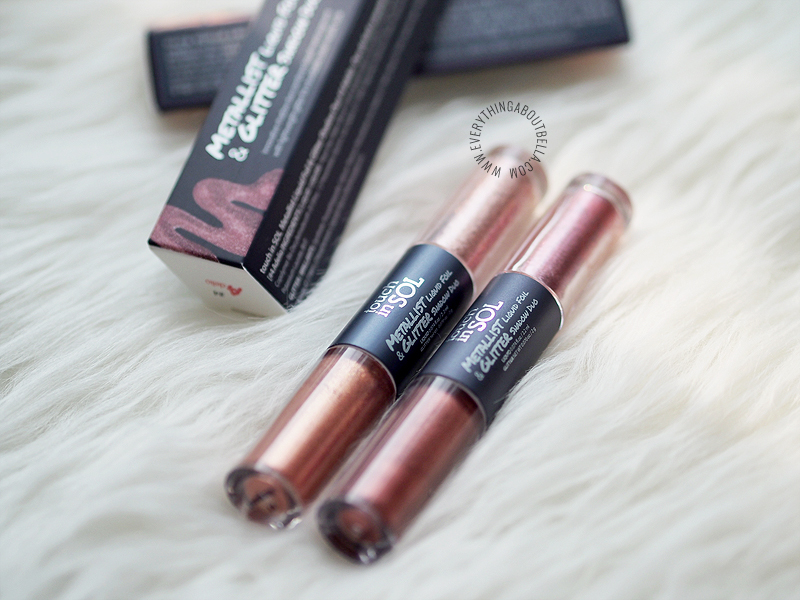 Comes in a box, Touch in Sol Metallist Liquid Foil & Glitter Duo have this lip-gloss-like packaging with dual end. 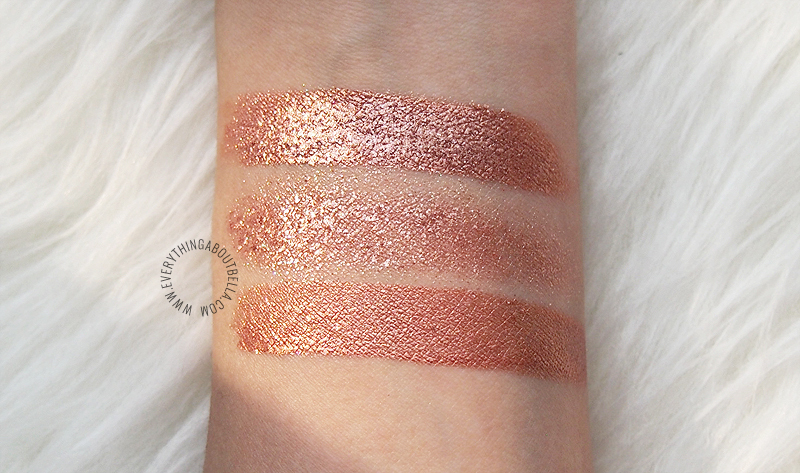 One side for the liquid shadow, and the other for the glitter product. Really liking how it is packed, making it really easy to bring around and also to apply. 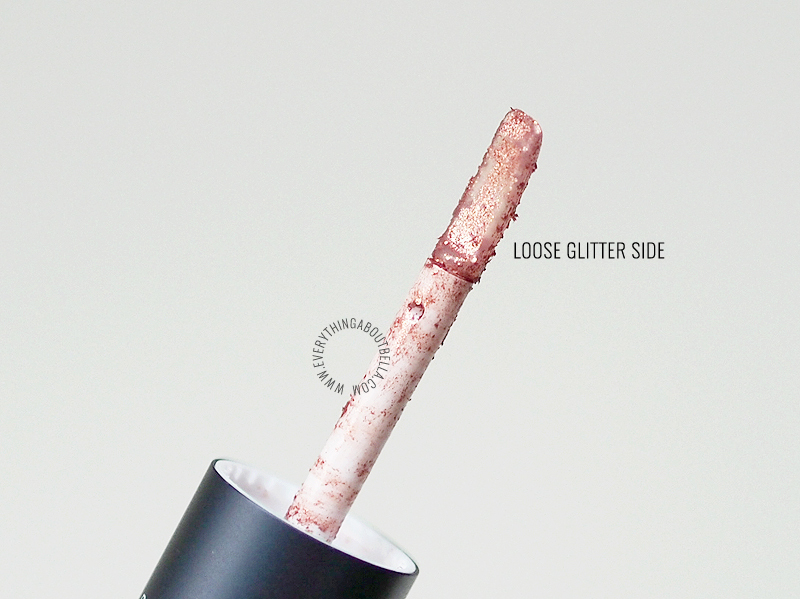 The liquid side comes with a soft doe applicator, while the glitter side comes with a flexible flat wand. 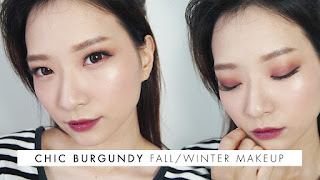 Soft-doe applicator for the liquid shadow is perfect. 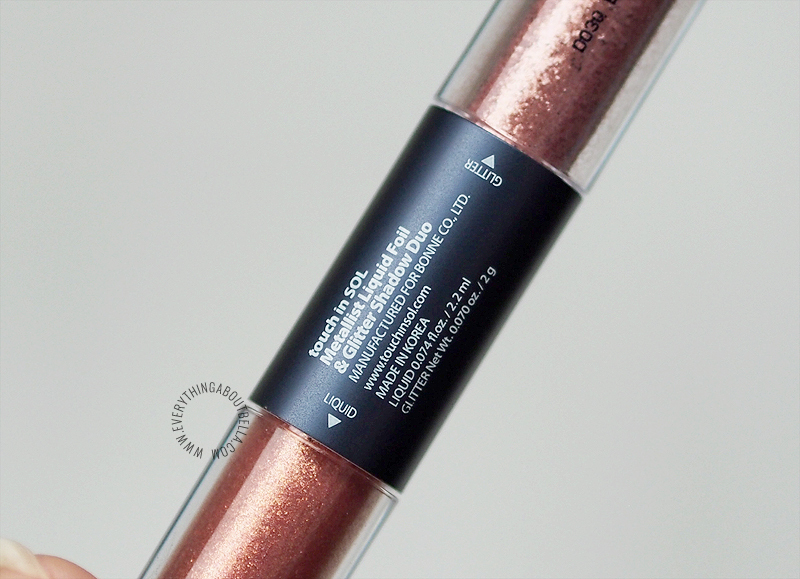 It isn't too bulky, kinda thin, so application of the foil shadow is very easy. The loose glitter side, however, is a little harder to work with, as it is flexible and so sometimes if you are careful, the loose glitter can get messy. My advice is to always put the glitter on the back of your hand first and then apply with finger or wet brush to prevent crazy fallout. 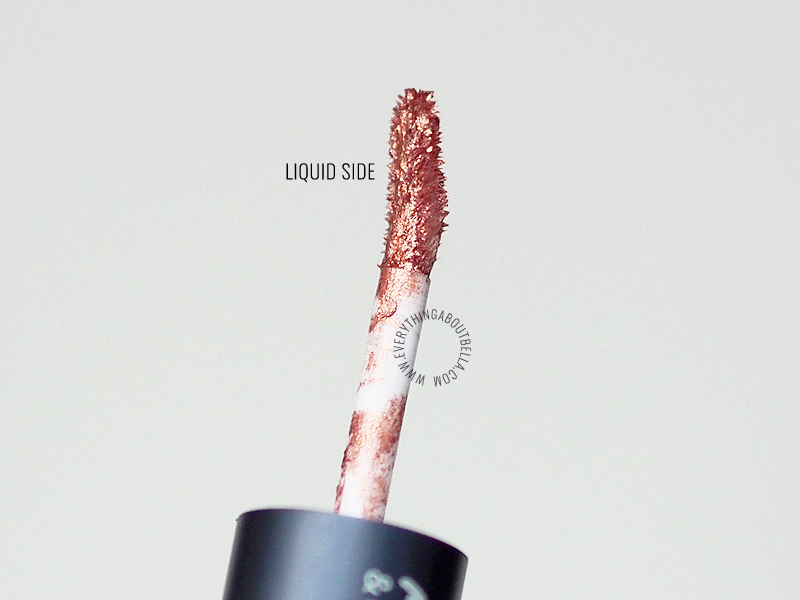 The texture of the liquid shadow is extremely good, very pigmented and creamy, goes on super smooth and evenly. It gives metallic finish. Just very very pretty. 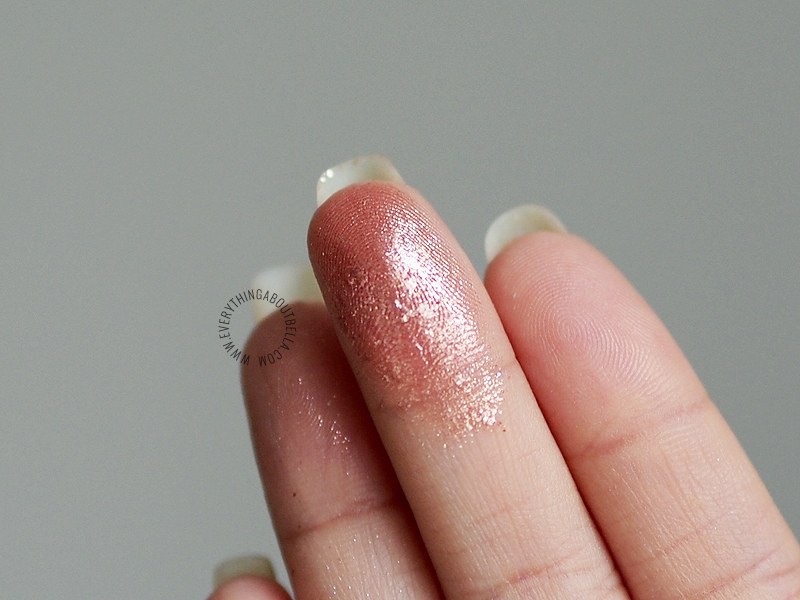 The glitter shadow, is chunky at first and since it is loose glitter it is easy to get messy, but once blended on the skin, it blends in nicely and doesn't move around easily. Also super pigmented, a tiny bit of product is all you need. Sparkly! 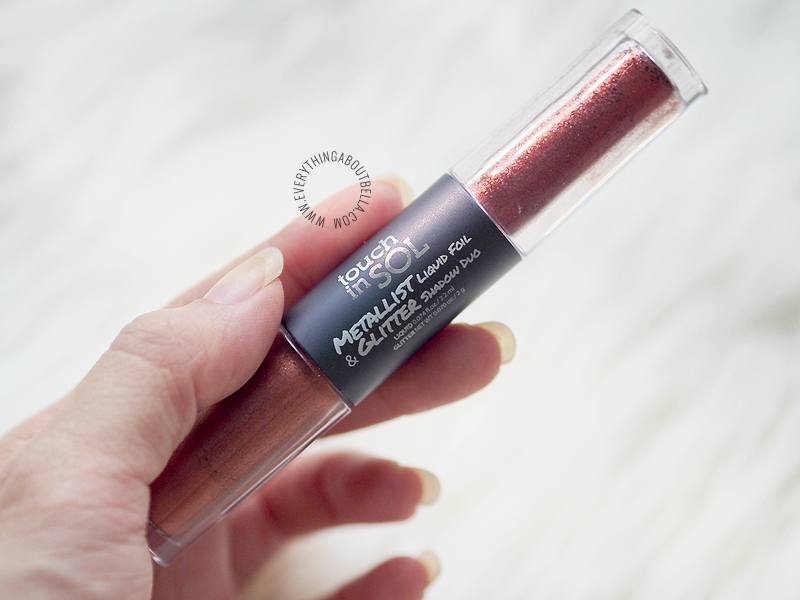 I have two shades of this Liquid Foil & Glitter Shadow Duo, #1 Margaret and #4 Adelio. 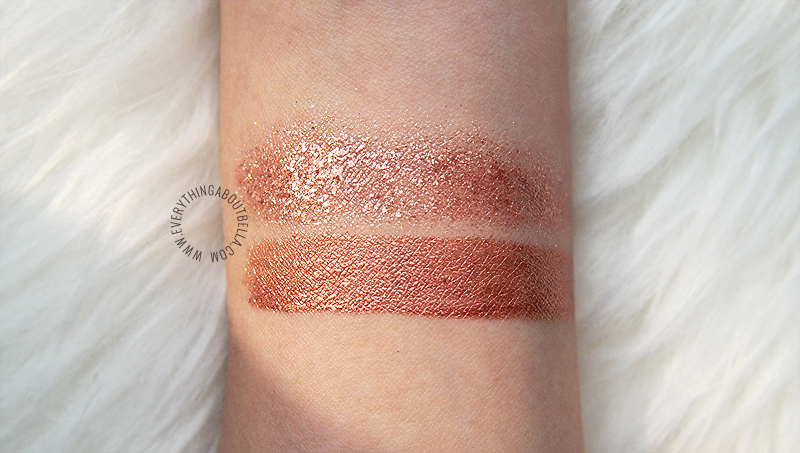 Check out how amazing these two shades are! 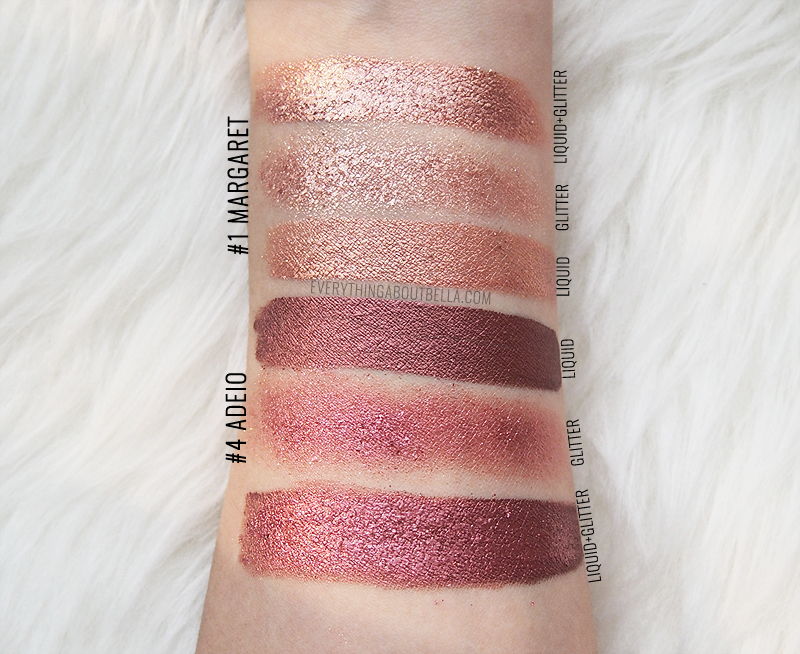 #1 Margaret is a rose-gold champagne shade. Definitely a must-have! #4 Adelio is a burgundy wine shade. This one has less finer glitter so it isn't as crazy sparkly as #1 Margaret, however still equally pretty. Look at that! Aren't they super pretty?! It is super pigmented, just look at the pigment it leaves on my finger I used to blend the eyeshadow. 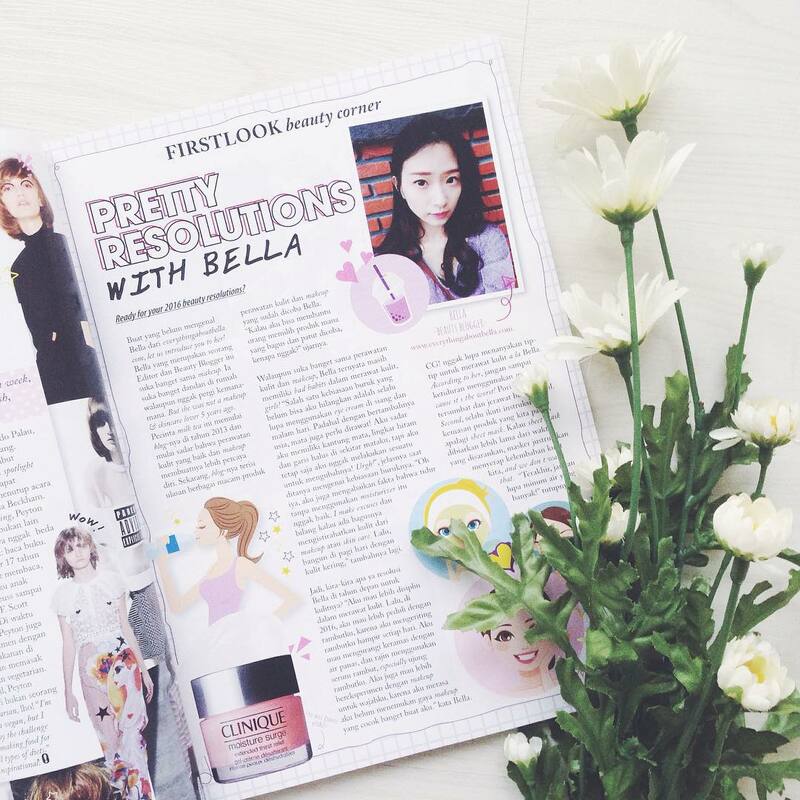 I'm totally obsessed with this product and have been using it a few times already since I got them. 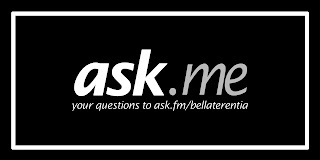 I can't stop saying this but this is super recommended! I say you should get this if you are a glitter person like I am. 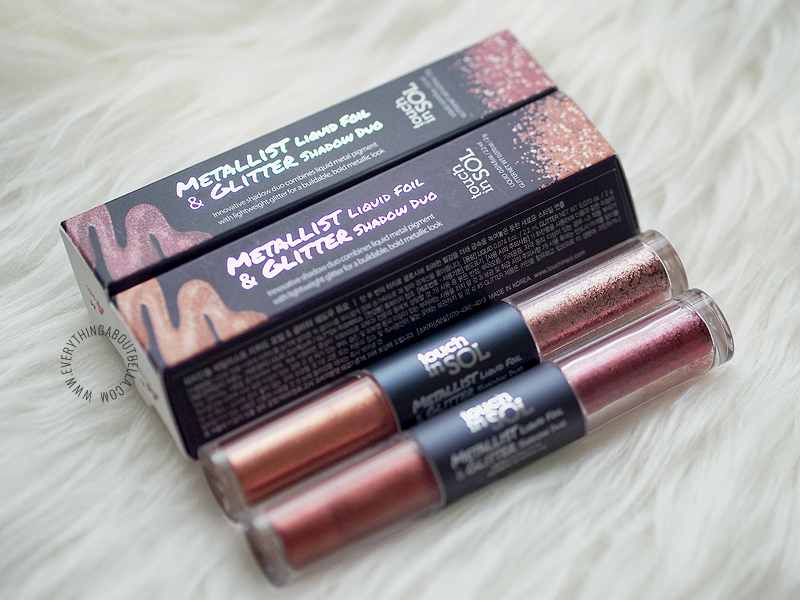 Touch in Sol Metallist Liquid Foil & Glitter Shadow Duo is on sale for each at around USD 17 at BBCosmetic, with free shipping worldwide ♥ Get additional discount too with this code 8% DISCOUNT CODE: BBBELLA8 (no, I don't get commision from this, so no worries).